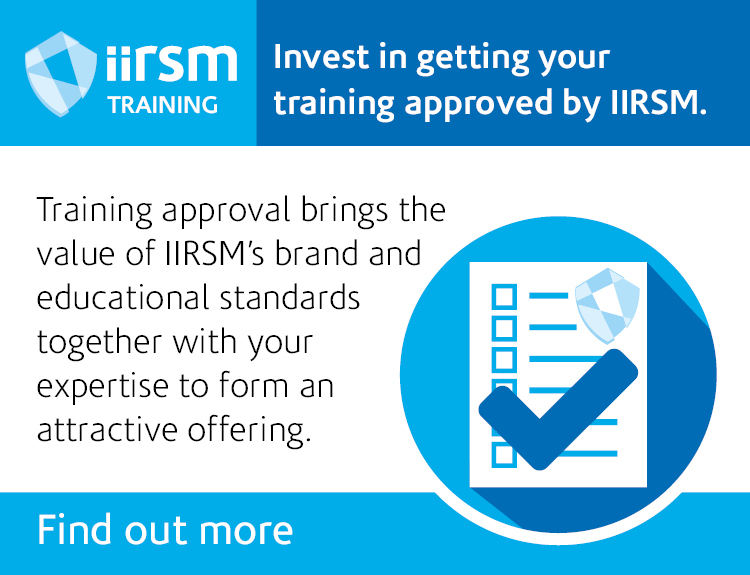 IIRSM members have free and unlimited access to three helplines as part of their membership; a technical helpline, a HR helpline and a legal helpline. These helplines provide quick responses by phone or email to everyday queries, such as the application of health and safety legislation, staff issues and professional and person legal issues. 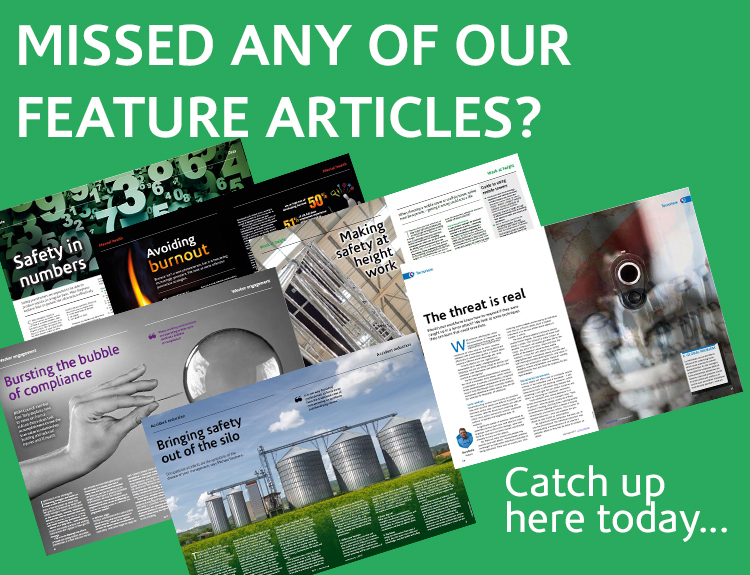 Every month we publish a selection of questions and answers from the technical helpline in our Member magazine, Insight. Below are some recent examples which you may find interesting and informative. Q. When using stepladders for a short duration, do the Work at Height Regulations apply and do operatives need to undertake a full work at height training course? All work at height is subject to the relevant regulations irrespective of the height the operative is working at and the duration of the work. Training needs to be appropriate for the individual and appropriate for the task. If an operative requests training, you will need to investigate to determine their ability and competence for working at height and relevant access equipment. Q. What is the frequency of audiometric testing? Is it annually? The frequency of testing from L108: Controlling Noise at Work states: Frequency of testing – an audiometric programme should consist of a baseline audiogram conducted before employment where noise is a hazard followed by a schedule of audiometric testing to monitor hearing threshold levels following exposure to noise at work. For quality control purposes, it is particularly important to obtain a baseline that as far as possible is not contaminated by TTS. This reflects the importance of this initial test as a reference point for all future comparisons. The schedule of audiometric testing should include annual tests for the first two years of employment and at three yearly intervals thereafter. More frequent testing may be required if significant changes in hearing level are detected or exposure conditions change increasing the risk of hearing damage. As a quality control measure, it would be prudent to repeat any audiogram which showed a difference from the previous result of more than 10 dB at any frequency. At the baseline examination, it is important to obtain information about the individual’s job previous noise exposures and medical history (see example questionnaire in Appendix 6). At all subsequent tests the individual should be asked about any changes in personal circumstances work patterns and noise exposure and any complaints relating to the ears or hearing. If changes are indicated previous records should be revisited and amended as necessary. Where a workforce is already exposed to noise before the audiometric programme begins the baseline audiogram will simply be the first test to be made. If there is no evidence of hearing loss subsequent testing can follow the suggested schedule. Where damage is detected at the baseline actions taken should follow the advice given in paragraphs 31-37 in this appendix. See www.hse.gov.uk/pubns/priced/l108.pdf for more information. Q. What is the benefit of using lumbar support belts? The HSE’s OC 313/5 – The Manual Handling Operations Regulations 1992 (as amended) (MHOR) states: “Abdominal and back support belts are not recommended control measures as their effectiveness is questionable” (see www.hse.gov.uk/foi/internalops/ocs/300-399/313_5.htm#Lumbar-support-belts). Therefore the use of such belts should really be a last resort as other control measures would need to be considered along with suitable training. Q. Is there anywhere in legislation to state that a hard hat must be replaced after two years? PPE will have a useable ‘shelf life’. When it exceeds its shelf life or is so badly damaged that repair is not possible or too costly it should be replaced. (f) do not wear head protection back to front – it will not protect you if you do. (h) do not wear a baseball style bump cap where there is a risk of falling objects – wear an industrial safety helmet instead. Q. Is any project involving more than one contractor notifiable under the CDM Regulations 2015? While the number of contractors involved with the project does determine whether certain duty holders need to be appointed and documents produced, it doesn’t affect whether the project is notifiable. A project will only be notifiable if the construction work on a construction site is scheduled to: last longer than 30 working days and have more than 20 workers working simultaneously at any point in the project; or exceed 500 person days. Q. I have just been informed I might be made redundant. What are my rights? Sometimes a business is not doing well or it has to reorganise to meet the needs of its customers or clients. Other times due to mergers and acquisitions it is necessary to change the profile of the workforce to meet new commercial challenges. In each of these cases it may be that the role you are currently doing is therefore redundant. The first is a situation in which an employer has stopped carrying on the business for the purposes of which the employees were employed, or stopped carrying on that business in the place where they were employed. The second is where the requirements of the employer’s business for employees to carry out work of a particular kind, or for employees to carry out work of a particular kind in the place where they were employed by the employer, have stopped or diminished or are expected to stop or diminish. When a business stops it is common that some of the workforce will be redundant, but redundancy can also occur when there is outsourcing, mergers or other restructuring/reorganisation of a business. In any of these cases your employer will need to ensure the correct redundancy process is followed. calculation of your redundancy pay. In addition, if your employer is making individual employees redundant they must follow a fair and reasonable procedure. The following are key parts of an appropriate redundancy process. The whole pool of employees who are at risk of redundancy should be considered. Your employer should carefully consider the role that is targeted, rather than the person in that role, and wok out which employees should be in the pool and therefore at risk of redundancy. Consideration should be given to all those whose roles overlap or are interchangeable – for example assess the team unless the role affected is ‘standalone’. For example, if the need for developing apps has disappeared, it will be wrong to include in the pool those making sausages, though it may be right to include administrators who work with both the app developers and those making sausages! There are only very rare occasions where a role is entirely standalone. There is nearly always overlap and interdependence of roles. There must be a consultation with all those affected by redundancy dismissals. Though it is essential to consult with those who are likely to be dismissed, consultation must also include all relevant staff in the consultation, even if some of the employees are not eligible for redundancy pay. If your employer is proposing to dismiss 100 or more employees for redundancy from one establishment in 90 days or less, consultation must begin at least 45 days (previously 90 days) before the first dismissal takes place. If your employer is proposing to dismiss between 20 and 99 employees for redundancy at one establishment within 90 days or less, consultation must begin at least 30 days before the first dismissal takes place. If there are less than 20 employees being made redundant, as will frequently be the case with small employers, the process adopted needs to be reasonable. There is no statutory guidance for what is defined as ‘reasonable’ but it would be what may be reasonable taking account all of the circumstances, such as the size of the business and the reason for the redundancies. Acas has a guide for redundancies in a small business at www.acas.org.uk/media/pdf/l/b/Handling-Redundancies-in-small-firms. Consultation must be an open and clear dialogue between you and your employer so that you can be properly heard and the employer takes fully into consideration the issues, ideas and suggestions of all employees. The purpose of the consultation is to seek to avoid redundancies or mitigate the impact of them. I recently purchased a property with my wife – do I need to make a will? ensuring you have appointed someone to carry out the wishes of your will. Recent statistics show 74% of applications for probate did so with a valid will, while just a fifth were for applications where there was no valid will. Just 3% of estates where a probate application was made were required to pay inheritance tax. To make a will you need to be over the age of 18 and of sound mind. It must be made in writing and made freely, for example not under duress or the influence of any other party. If you get married. This is because any previous will is automatically invalidated. It is possible to make a will in contemplation of a specific marriage on a specific date and that would remain valid. This would need to be set out in the will. If you divorce. Any previous Will may no longer reflect your wishes, although it is not automatically invalidated. If you buy a house with a partner and the property is divided in unequal shares. A partner/common law wife has no rights to inherit and may lose their home in these circumstances if no provision is made. If you have children and wish to appoint guardians. When making a will you’ll need to consider what you would like to do and understand what you can and cannot stipulate in a will. In England and Wales, we have testamentary freedom, which means you are not required by law to leave any part of your estate to your family. In some countries, such as France, assets must be divided between close relatives such as a spouse and children. However, you do need to consider anyone who you may currently maintain. This may include a spouse, partner, ex-spouse, children or step-children. If that is the case you should consider their right to apply for continued support from the estate under the Inheritance (Provision for Family and Dependants) Act 1975. These cases can be very complex. If you think it may apply, you should take further advice. Who is going to be the executors, trustees and guardians? These can all be the same people but may be different. It is usual for example for any executors and trustees to be the same and guardians can be appointed differently. Who do you have to consider? Children, spouse, partner and any other relatives. Are you in a second marriage, are there step-children? What is the value of the estate? Do you need to consider inheritance tax planning? Do you want to make gifts of money to a charity, friend or relative? Do you want to make a gift of an item (not money) to a charity, friend or relative? Who would you like to inherit the remainder of your estate? Do you want to have a substitution clause in the event that a beneficiary dies before you do? What is the extent of any debts and can these be paid on your death? Do you have a death-in-service benefit and have you made a nomination as part of that scheme? check out Free Wills Month, which happens during March or October. purchase a will pack to enable you to write your own will – this is usually available from the Post Office or online at a cost of around £10. It must have been signed by you. There must be signatures from at least two witnesses who both saw you sign the will and who both then sign in your presence and in the presence of each other. If the will does not comply with these requirements, it may be invalid and you will be deemed to have died intestate – without a will. There must be at least two witnesses to your will. Any adult, except someone who is blind, can be a witness. That person must see you actually sign your will. The will is not valid if the witness does not see you sign or if you sign after the witness. Witnesses do not have to see the contents of the will and you do not have to tell them what has been written. They are only witnessing your signature and to be able to testify (if necessary) that you signed the will freely and voluntarily. You should not ask anyone to witness your will who is likely to be a beneficiary (someone you have left any money or property to). You should also make sure that you do not ask anyone who is the husband or wife of an intended beneficiary.If this happens, the will remains valid, but the gift you intended to make to the beneficiary will be invalid and may pass to another member of the family. We are frequently asked if there is a central will register – often in cases where someone has died and the relatives are looking for a will. What this highlights is that people are often reluctant to discuss making a will and, if one is made, they are equally reluctant to discuss where it is kept. Put it in a safe place and let others know where that is. You might want to consider a small, fire-proof box. Store with a bank or building society. There may be a charge for this. Store with your solicitor. There may be a charge for this. Store it with the Probate Service, for which there is a charge of £20. See here for further details. A will is not a forever document. As your children grow up, or relationships change, it may not suit your circumstances. You may get divorced and have a new family or, equally, you may just change your mind about what you wish to do. To make changes, you can either rewrite the will or arrange for a codicil to be drafted. A codicil is generally used if small changes are to be made. Larger, more significant, changes are usually achieved by rewriting the will. When someone dies it is the most recent will which is valid and used by the executors to administer the estate. Finally, If you die without a will, it will be referred to as dying intestate. In this case, the statutory rules of intestacy will apply to who inherits your assets and who will act to administer your estate and distribute those assets to those entitled to have them. The intestacy rules can be quite complex and much depends on the relationship between the deceased and other relatives. In general terms, any spouse or civil partner will inherit the majority of the estate, although there is a financial ceiling which could leave them financially disadvantaged and not what you planned. After a spouse or civil partner, the assets will pass to your children, parents and then more remote relatives. If you have a friend or relative who has died intestate there is a useful interactive tool at www.gov.uk/inherits-someone-dies-without-will.